The winners for the 2015 Miami Street Photography Festival have been announced and this year’s grand prize goes to Swapnil Jedhe for his masterfully layered shot of kids at play. Swapnil goes home with a brand new Leica Q and a bunch of other prizes in addition to the pride of winning the most respected street photography contest on the planet. Hit the jump for more info on all of this year’s winners! The Miami Street Photography Festival is an international event showcasing the best of contemporary street photography. The festival’s competition is judged by street photographers for street photographers and this year’s judges included David Alan Harvey, Bruce Davidson, Peter Turnley and Maggie Steber in addition to the two featured street photography collectives, Spontanea and The Street Collective. 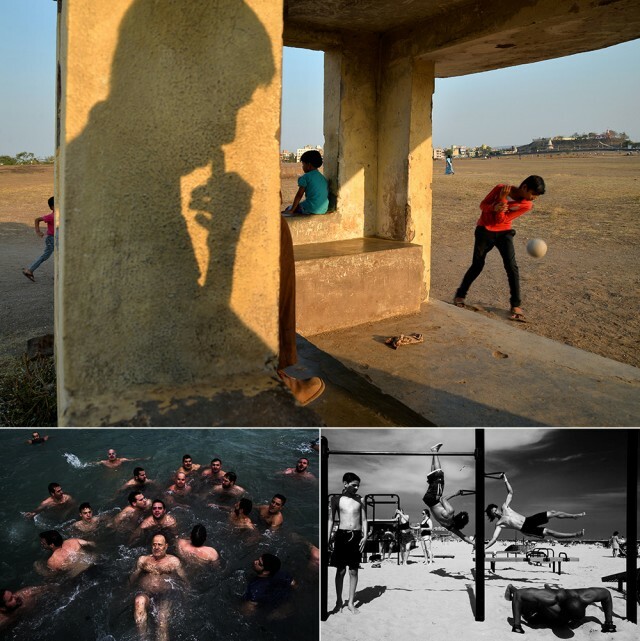 This year’s grand prize was awarded to Swapnil Jedhe from India for his outstanding image of children at play. The windows of the structure create several frames within the frame and Swapnil’s expert command of layers and composition creates a multitude of little stories that play out in harmony with each other. As the grand prize winner, Swapnil received a Leica Q from the Leica Store Miami, a leather ONA camera bag, and a 2 year subscription to Adobe Creative Cloud. Second place was awarded to George Marazakis from Greece for his school of fish swimming in murky waters. It’s a strangely compelling image that speaks of the bond shared by the swimmers as much as the murky water seems to draw them apart. Nicely done! As the second place winner, George picked up an ONA camera bag and one year of Adobe Creative Cloud which isn’t too shabby at all! 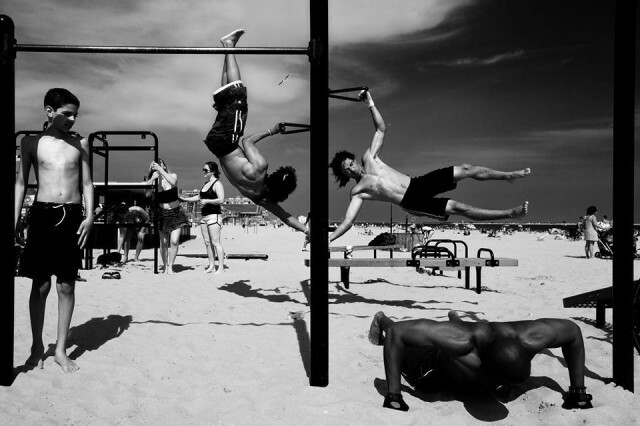 Third place goes to Lauren Welles for her black and white beach work out. The apparatus separates the frame as the many subjects push and pull themselves in a varitey of poses. But the many varied workouts are miraculously harmonious in the frame and the multiple stories someone speak to each other in spite of themselves. Really well shot! 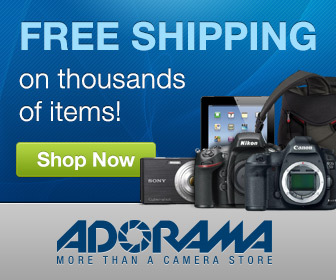 For her third place shot, Lauren gets an ONA camera bag and a one year subscription to Adobe Creative Cloud. Marcin’s simple yet elegant shot captured the hearts of everyone in attendance and picked up the people’s choice award. The stark landscape sets the stage and the swarm of swans makes it seem as if the land is exploding into the dark water. Beautifully seen! The Miami Street Photography Festival contest stands out for the quality its judges (real street photographers) and the prestige associated with the event. The festival is run by Juan Jose Reyes who has dedicated countless hours to promoting street photography for its own sake – this isn’t just another rights grab! All four shots in this year’s winners are amazing but I keep getting drawn back to the 2nd place winner by George Marazakis. There’s something about the men thrashing about in the dark waters that draws me in. Their expressions each tell a story and their proximity to each other creates as much tension as it does a sense of cummunal bathing. Took me a couple of views before it really started to shine but that’s a mighty fine shot! However you look at it, the Miami Street Photography gives us all a chance to be exposed to the work of some outstanding street photographers. I can’t wait for next year!! 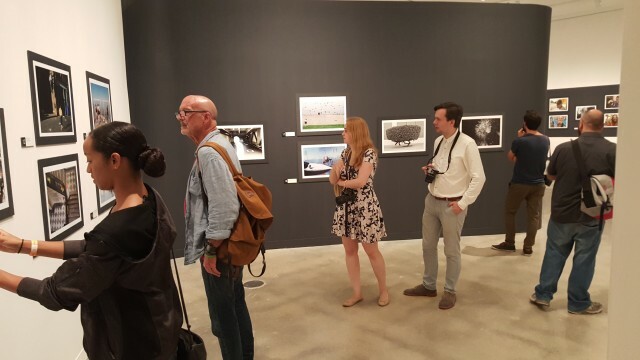 What’s your take on the 2015 Miami Street Photography Festival winners? 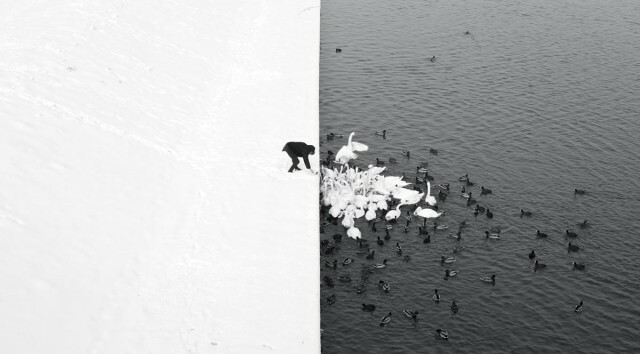 Amazing shots that keep your attention? 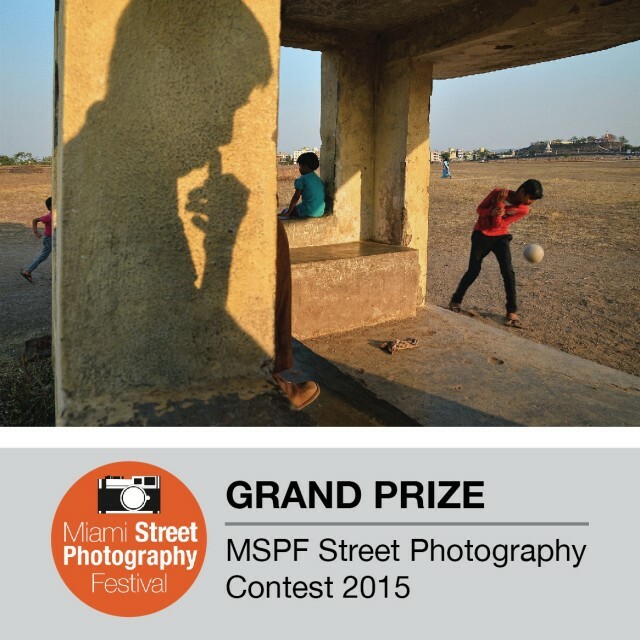 Or are you just tired of street photography contests in general? Post your ideas in the comments below and keep the conversation going!